Ryan Gosling's directorial debut Lost River experienced a relative nosedive when it came to critical praise. Maybe it's a sign of hope that his movie will have a longer version on Blu-ray. For now, only Germany has had such an announcement but other markets are surely following. Looking at the runtime difference, interested customers can expect a Director's Cut that runs 10 minutes longer than the theatrical version (94:31 vs. 104:53 minutes) according to the German ratings board FSK. On October 1st, 2015, the film will be released on DVD, Blu-ray, Blu-ray 3D and in a limited mediabook with a BD/DVD combo. 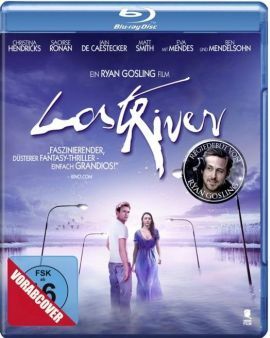 Distributor Tiberius Film confirmed to us that the Blu-ray releases will have both versions of Lost River on board.